It’s been a long time coming. 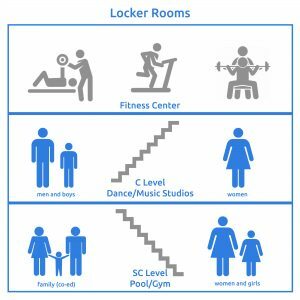 We are pleased to announce that our new co-ed Family Locker Room will open on the SC level this Sunday, April 8th! The other locker room on the SC level will now be for women and girls. Please take note of the new assignments for all our locker rooms. *Note: Girls will be allowed in the C level women’s locker room Monday – Friday, from 3 PM – 6PM.